"The music you listen to in your formative years is what sticks with you,” says Anjo Inacay of Silent Sanctuary. The way people listen to music has changed, and with it, the way artists navigate this age of unprecedented access, visibility, and information. How does OPM fare in these opportune times? The music you listen to from 14- to 18-years-old is the music that you’ll listen to the most as an adult. “They keep coming back to that music. The music you listen to in your formative years is what sticks with you,” says Anjo Inacay of Silent Sanctuary. 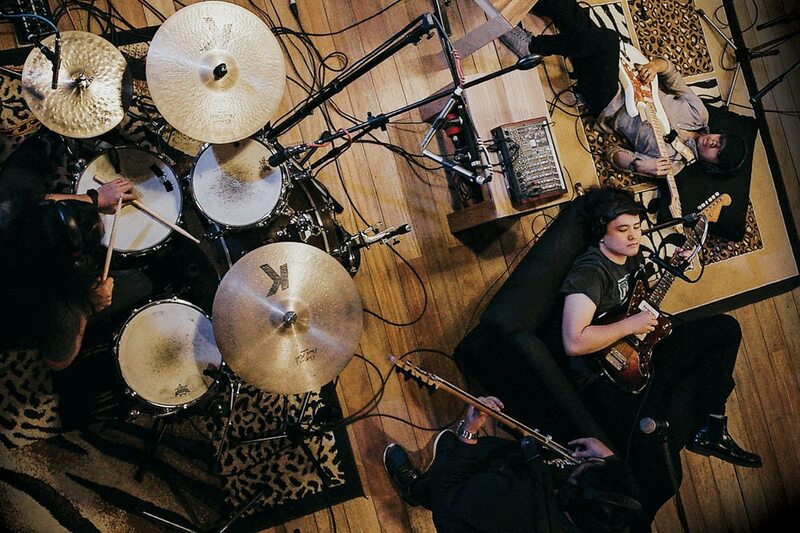 That is but one takeaway of many that the band member has, and he admits to being exceedingly interested in the way technology has changed the way people consume his work. For example, he tinkers a lot with his band’s artist profile page in Spotify, harvesting insights. He points to gigs they have recently played at in Dubai. “It confirms our hunches about our music. I never thought that we’d be able to play outside of the country,” Inacay, who has played cello for the band since 2001, says. “In Spotify, you can see our listener’s ages. Fifty-five percent are from 18 to 25, and another 40 percent are from 22 to 30.” The band thinks that the fans they had early on in their careers—the lovestruck teens of the mid-2000s—have grown up, and quite possibly contributed to the Filipino diaspora, so to speak. This, then, has opened their eyes to where new territories might lie. These are interesting times to be a musician, both filled with promise and opportunity through democratized reach and, as mentioned, reliable, easily quantifiable, big data. It’s still about fighting for that piece of the listeners’ pie, and it’s still about breaking into charts. But the change in medium means a change in mindset and strategy as well as a different take on revenue. Gautam Talwar, Spotify’s managing director for Southeast Asia, says this represents a positive shift in the industry globally. According to the International Federation of the Phonographic Industry (IFPI), streaming is now the single largest revenue source for the music industry worldwide. “Our mission is to unlock the potential of human creativity—by giving a million creative artists the opportunity to live off their art and billions of fans the opportunity to enjoy and be inspired by it,” he says. In 2017, for the first time ever, digital services contributed more than half of all music industry revenue, at 54 percent. “This is also true in the Philippines. The impact of streaming here is also huge, contributing 73 percent of music industry revenue,” he says. “That’s a significant contribution and we are proud to be part of this story.” He says that the adoption of streaming has contributed in revitalizing music economies in countries where piracy used to be the primary method of consumption. In the last five years, users have streamed over 2.5 billion hours of content on Spotify. On average, they spend at least two hours a day on the platform with peak times at 10am to 12pm and again at 3pm to 6pm. “And based on our streaming intelligence, a lot of our fans love local content and specifically, those that are focused on love,” Talwar shares. Spotify, Talwar says, is able to reach a global audience of 200 million spread across 78 countries—the Silent Sanctuary fans who got the group to perform in Dubai counted among those numbers. The company recognized this early on, having launched the OPM Hub, a dedicated section filled with playlists for every sub-genre, in 2015. Since then, more and more local songs have begun topping the Spotify Top 50 charts in the country, discovering and introducing artists like Moira Dela Torre, Ben&Ben, and Juan Karlos to a much larger audience. And it’s been working. Silent Sanctuary, for example, was the most streamed OPM artist in 2016 and 2017. 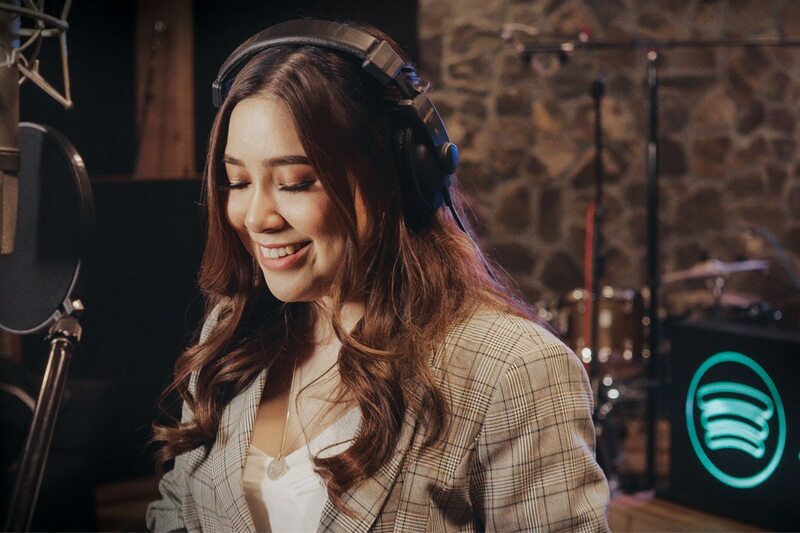 Moira Dela Torre, she of the richly-voiced verses of heartache, beat out the likes of Dua Lipa, Taylor Swift, Ariana Grande, and Camila Cabello as the most streamed female artist in the Philippines at the end of last year. Chee Meng Tan, head of artists and labels for Spotify Southeast Asia says that it is about providing the average user the variety that they crave for. “Since our global launch, we’ve found that ‘listening diversity,’ or the number of artists the average user streams per month, has risen over the past 10 years at an average of about 8 percent per year,” he says. In the past three years alone, this diversity he describes has increased to about 40 percent on the strength of new personalized and editorial playlists. This month, the streaming app continues feeding into this local resurgence by launching their campaign Spotify Jams: OPM Love Songs. 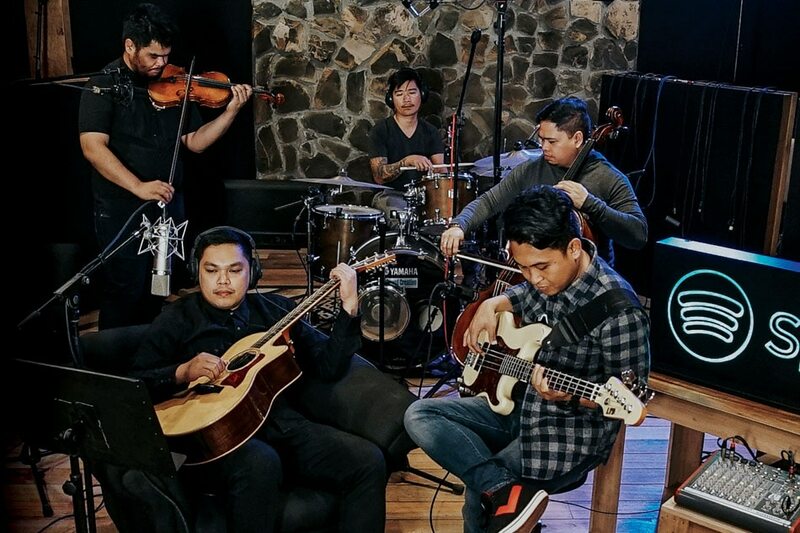 They’ve asked artists—IV of Spades, Ben&Ben, Juan Karlos, Sara Geronimo, and, of course, Dela Torre and Silent Sanctuary—to cover a popular Filipino love song, which they will intermittently launch in the OPM Hub (under the Tatak Pinoy playlist) within this month. Dela Torre (who chose Rey Valera’s “Naalala Ka”) and Juan Karlos (who took on VST & Company’s “Ikaw Ang Aking Mahal”) kicked things off on February 8. Sarah Geronimo (Rivermaya’s “214”) and Silent Sanctuary (Regine Velasquez’s “Pangako”) will be launched on Valentine’s Day while Ben&Ben (Jose Mari Chan’s “Beautiful Girl”) and IV of Spades (Rivermaya’s “Kung Ayaw Mo Wag Mo”) closes things off on February 22. While, globally, revenue and profitability continues to be ongoing discussions and debates within the music industry—how streaming services can continue to survive with humongous licensing fees versus a fair share given to the actual creators of the songs—the business model will persist so as long as the people partake; If you will build it, they will come. If you stream it, people will listen. For their part, Spotify deems themselves as a key driver to industry revenue as well as a big believer in OPM and its, dare they say, rosy future. “As a company we take great pride in featuring the best local music from every genre, region and generation alongside music from all over the world. And we’re very excited about what’s in store for OPM in the coming years.